When you need work on water filtration systems, call John’s Plumbing & Pumps, Inc. We are your comprehensive solution for all your water filtration systems needs. With over 60 years servicing homes and businesses you’re getting more than just a plumber. Our expert level care and knowledge allow us to raise the standard for plumbing services in Olympia and the greater Puget Sound. John’s Plumbing & Pumps can determine which filtration system is best for your situation. 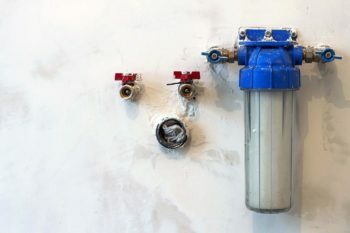 Businesses do not need the same kind of setup as homes, and properties on well systems need solutions different than those connected to city water supplies. 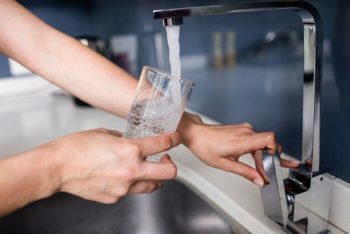 Before deciding, we sample your water and send it to a lab for identification of pathogens, minerals, or other contaminants that may be present in your current water supply. We also consider water usage and how frequently the owner is willing to maintain the system. This way we can narrow down the right manufacturer for your particular situation. Water Filtration System maintenance can save you time and money in the long run. We can do a full diagnostic inspection on your system in order to identify and repair any problem areas you may have. This includes upkeep services like checking and topping off softener salts, monitoring hardness levels, inspecting water flow and inspecting your tank for salt bridging. We can also sanitize your system and perform regeneration frequency adjustments. Having clean water is crucial. It’s what keeps what keeps your family or business hydrated and feeling refreshed. So when you need repairs on your filtration system, you want to know they’re done right. Our team of highly skilled technical plumbers are certified and can perform any pump and water filtration systems repair you may need. There are several benefits to having the experts at John’s Plumbing and Pumps install a water filtration system in your home or business. One reason is to improve the tase. They can reduce or eliminate the of chlorine and sediments present in your current water. Systems can also be installed to filter the water throughout your house, reducing chlorine damage to your skin and hair when bathing. The filtering out of particulate matter can also extend the life of your plumbing system and appliances, paying for itself over time. When you need services for water filtration systems make us your first call. When you call or contact John’s Plumbing and Pumps you’re getting so much more than just incredible service and a lifetime of experience; you’re getting the best water filtration systems service in Olympia.